If you are reading this, the gift of sight is among one of your many blessings. One likely taken for granted. Just for a few moments, close your eyes. Literally, in seconds, your life has immediately changed. Suddenly, the world is dark. Fear, anxiety and a sense of isolation are instant. Keep your eyes closed a few more seconds. Try to imagine never again seeing a loved one's face, the beauty of a sunrise, or text messages from a friend. Now, open your eyes. And, when you do, be grateful. 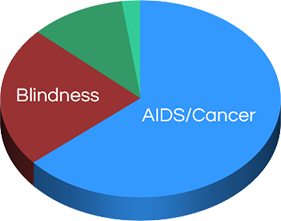 Studies show blindness is one of the most feared diseases, following AIDS and cancer. Between 80% and 90% of blindness is preventable through a combination of education and access to medical care. At Northern Plains Eye Foundation (NPEF), a non-profit 501(c)(3) organization based in Rapid City, South Dakota, our role, through community service outreach programs, is to protect and preserve vision, restore sight and support eye-related research to promote eye health. NPEF’s key area of emphasis is free vision screenings for pre-school and elementary school age children through the Children's Vision Screening Initiative (CVSI). By means of partnerships with area eye care professionals and local Lions Clubs, NPEF has brought over 16,850 free vision screenings to children across our communities since 2008. 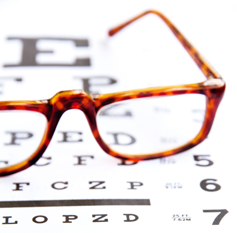 Based on data collected, twelve percent of our children have a vision problem. With timely diagnosis and appropriate intervention, many can be effectively treated. However, if undetected, childhood development, learning performance, social-emotional behavior and academic achievement become adversely affected. In addition to CVSI, NPEF's community outreach also includes Christmas Gift of Sight and Workplace Vision Wellness programs, as well as its Dr. Paul L. Zimmerman Memorial Scholarship. Since 2008, Christmas Gift of Sight has provided forty-three sight-saving surgeries, helping those underserved in our community regain their vision, and most importantly, independence, mobility and quality of life. Workplace Vision Wellness offers a seminar on workplace eye safety for the construction and trades industries covering topics such as workplace eye hazards, types of eye protection and what to do in the case of an eye injury. Through the Dr. Paul L. Zimmerman Memorial Scholarship, NPEF awards scholarships to fourth year students with an expressed interest in ophthalmology or optometry, who have been accepted into The University of South Dakota Sanford School of Medicine, in order to make certain there is quality eye care for future generations. Your gift ensures our work of prevention through education and timely medical care continues. Please donate today. We are grateful for support at all levels as well as in-kind contributions. Every gift, large or small, makes a positive difference.